NOSH FBU Boston 2014 Headlines News Newsletter Exclude Shows Top Feature BevNET FBU Boston is One Week Away! Don’t Miss Your Opportunity, Register NOW. BevNET FBU Boston is One Week Away! Don’t Miss Your Opportunity, Register NOW. There are only a few days left to register for BevNET FBU Boston, a one-of-kind business education and networking event designed for early-stage entrepreneurs and newcomers to the food and beverage industry. Featuring a line-up of speakers with combined decades of experience in product development, marketing, capital investment, distribution and retail strategies, BevNET FBU Boston will offer attendees a unique opportunity to learn from industry professionals and company founders to help you build a scalable business fast and effectively. The event will also feature several networking opportunities to meet and network with a range of investors, distributors and formulation experts that will be in attendance. New product entrepreneurs will also have the ability to show and sample their product to all attendees through a sampling station at the event. 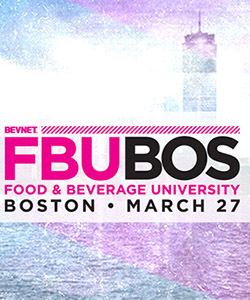 If you are not yet signed up, NOW is the time to register for BevNET FBU Boston. Don’t miss your opportunity to learn from the best in the business and position your brand for a quick start and sustained growth.